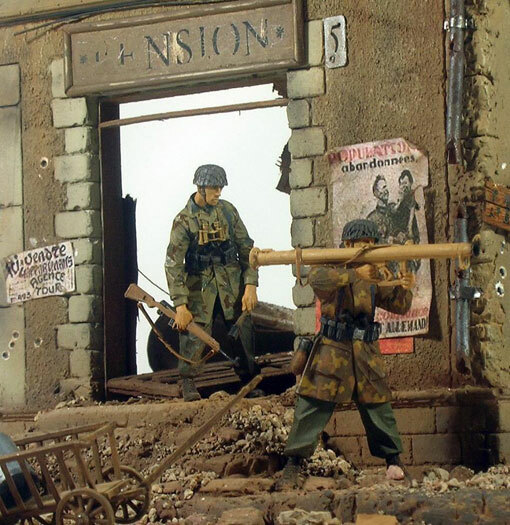 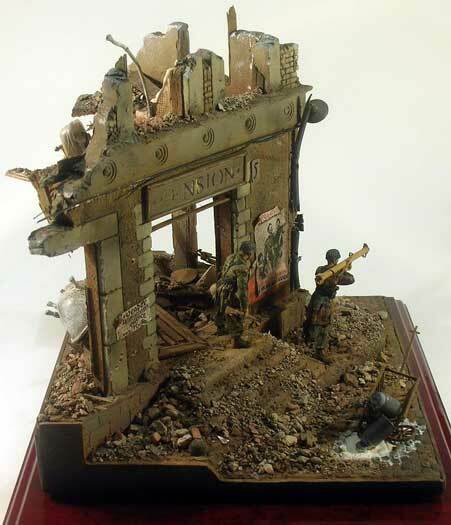 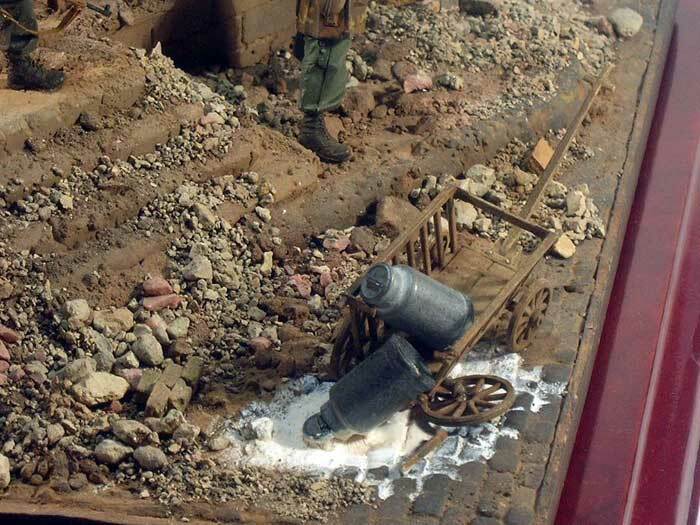 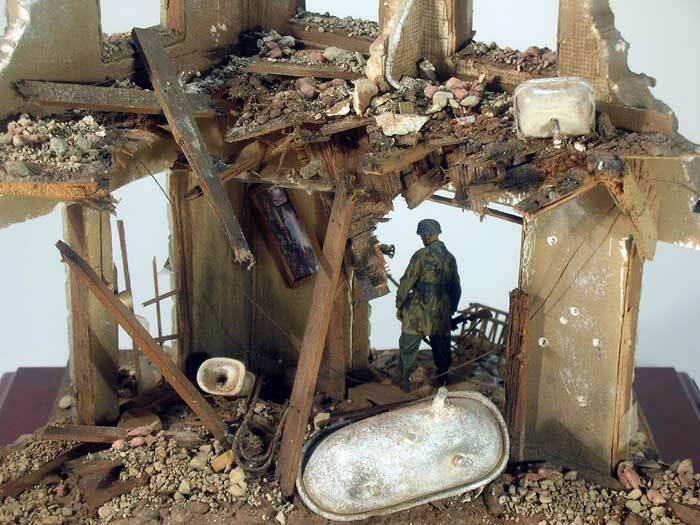 Here is my 1/35 scale diorama entitled Carentan-44. 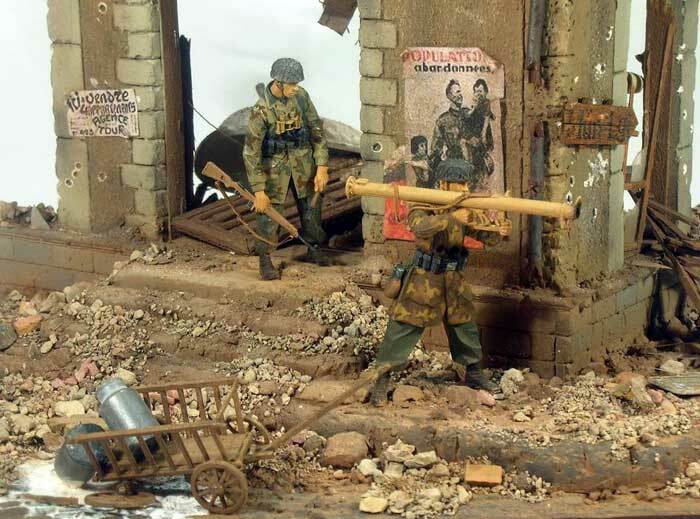 It is set in France during 1944. 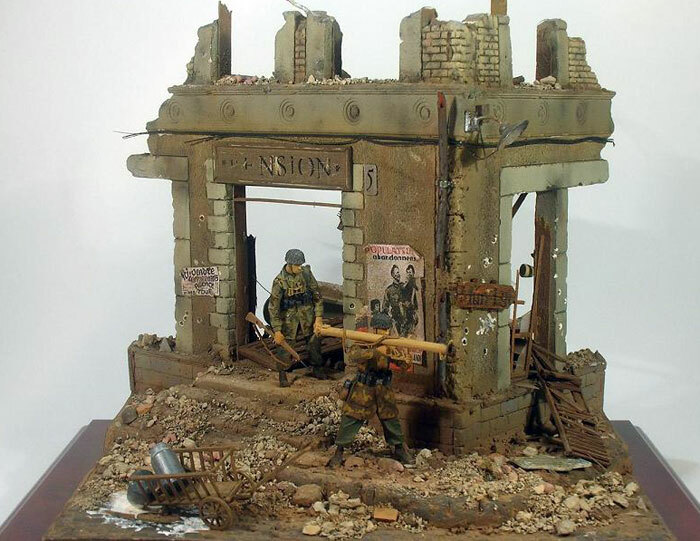 Materials used include two Alpine figures, an old Custom Dioramics building, some Plus Model accessories, and a lot of scratch building!